From my friend Cindy, who evidently knows me very well, a collection of gifts in one of my favorite colors, shocking red! Aren’t these containers super cool? 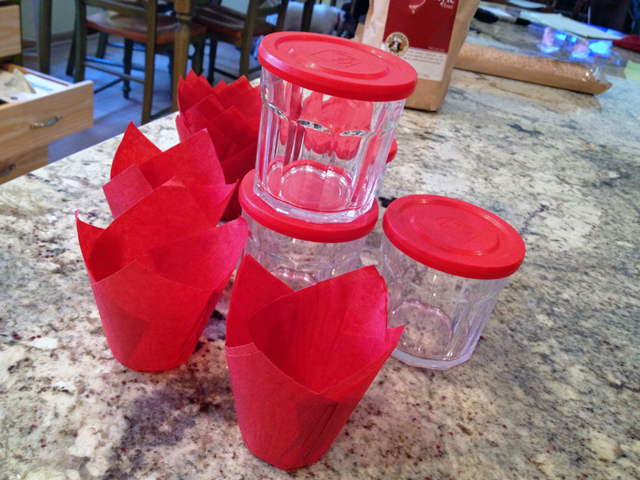 And how about the baking paper cups? The containers in action… on top, yogurt-saffron sauce for some Pomegranate Gelee, and on the lower jar, a Cilantro-vinaigrette ready and waiting… Life is good! 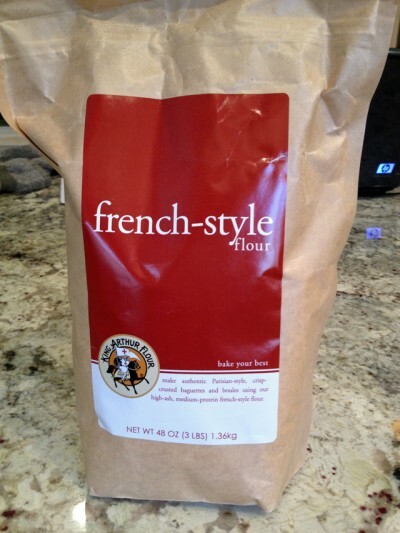 If that was not red enough, Cindy also gave me a bag of French-style flour, with a bright red label on it! I am going to use it in some very special bread, still trying to choose the perfect recipe to showcase my gift! From Phil, a surprise gift he managed to sneak in the luggage while we were in Paris. 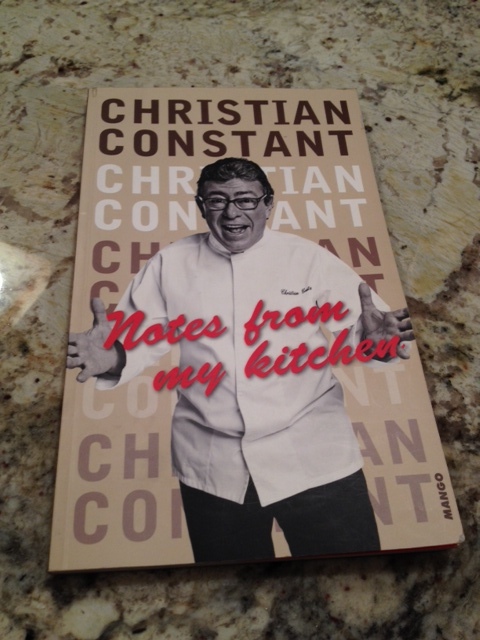 A cookbook from Christian Constant, the chef behind several great restaurants in the 7th arrondisement of Paris, including Les Cocottes de Constant, literally three steps from our hotel. He gave me the book after we arrived home, it was nice to have a souvenir from our short week in the City of Lights. I might as well include a couple of photos of our dinner at Les Cocottes. A gift from last Christmas that somehow escaped my previous IMK post. This is a container to hold the waste from espresso machines. It works very well, you just bang the espresso thingie holder against the central bar, and the used coffee drops in the container. Plus, the fact that it is black makes it look less messy. Before having it, we accumulated our coffee waste in an empty yogurt plastic tub until we had enough to dispose in the compost pile. Let’s say it was not a beautiful sight. 😉 If you are interested, amazon.com carries it. Ours was a gift from one of Phil’s sons. Macarons… I fell hopelessly in love with the caramel fleur de sel… oh, my… but we brought a small assortment of flavors like coffee, chocolate, blackberries, pistachios, raspberries… I am now obsessed with making macarons at home. Seems like a very brave project to attempt. Not sure I am up to the challenge, especially after reading a recent post from Joanne, in which she mentions that her first batch didn’t meet the expectations. She is an amazing baker, so… doing my own personal math, I am not optimistic (sigh). 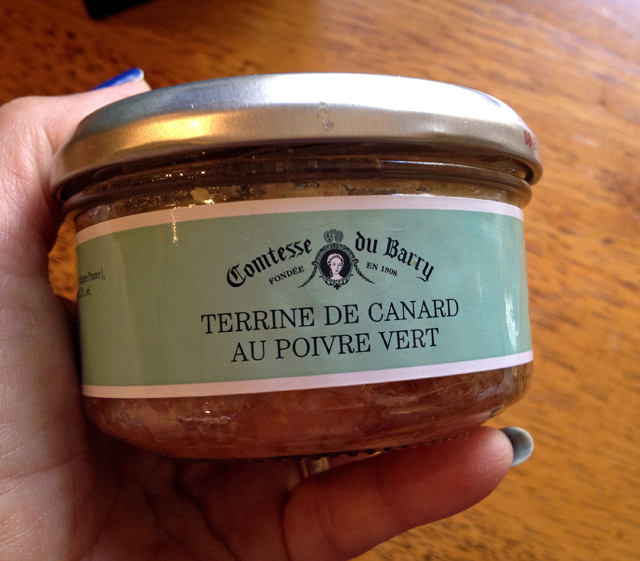 Terrine of duck with green peppercorns… no, not foie gras, we went a little more wallet-friendly. This is waiting for a good opportunity to come out and play, possibly in a future dinner party. 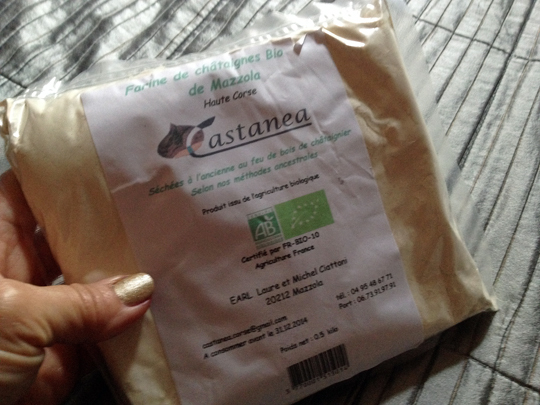 A bag of chestnut flour, bought near our hotel in France, following the suggestion of Farine, the Bread Baking Queen of All Queens… As a sneak preview to my readers, my first adventure with this unique flour. Stay tuned for a full blog about it. No, I am not completely crazy and obsessed with plastic wraps, but this is it. No more. This dispenser is so cool that I probably wasted a couple of meters just rolling out, cutting and aahhing and ooohing… Awesome. If you want to order it, click here. Best gadget ever. Ever. 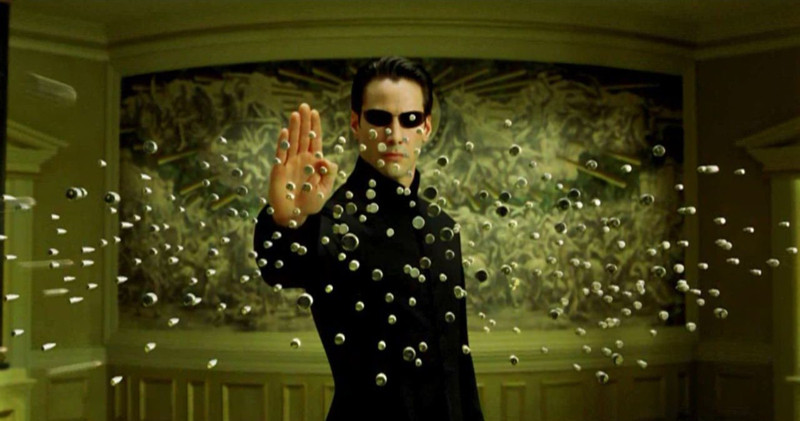 I am naming it Neo. You know, The One. Love them. Cannot resist trying – daring? 😉 – a new color of nail polish, or bringing a new bar soap home. Every time we go to Brazil I get some of my favorites, nothing fancy, stuff that you can buy at the grocery store. But, they have so many fragrances available: passion fruit, mint, lemon, honey, orchid, jasmine… In the US, I often get scented soaps at stores like Ross. 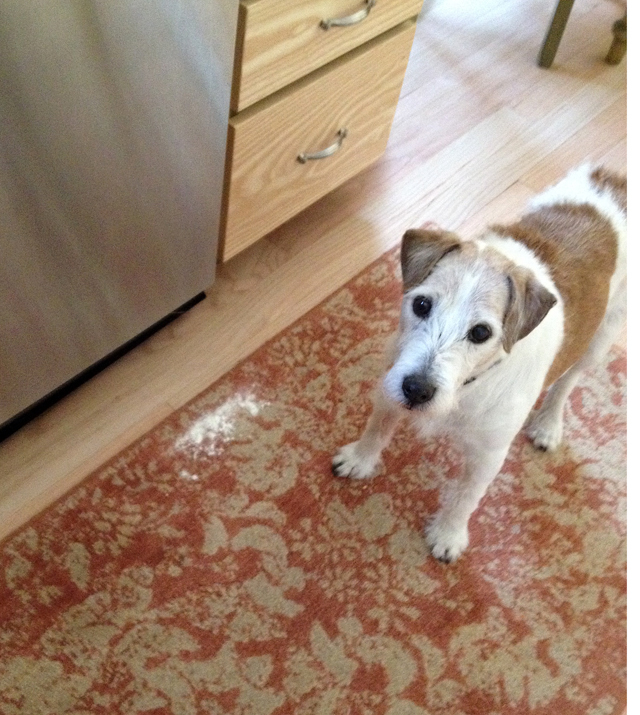 Chief was a bit unsure about cleaning the mess Mom made in the kitchen while preparing her chestnut sourdough bread… his short-term memory is a bit shot, but he still remembers the scalding he and his late brother got in the past…. Oscar won’t have anything to do with flour, he rather steal kisses from his Mom. She better move fast, or else a dog French kiss will be on its way! Well, my friends, I am pooped. That walk with Mom did it. I am chillin’ out, and saying goodbye for now…. Hope you enjoyed Mom’s tour of our kitchen! 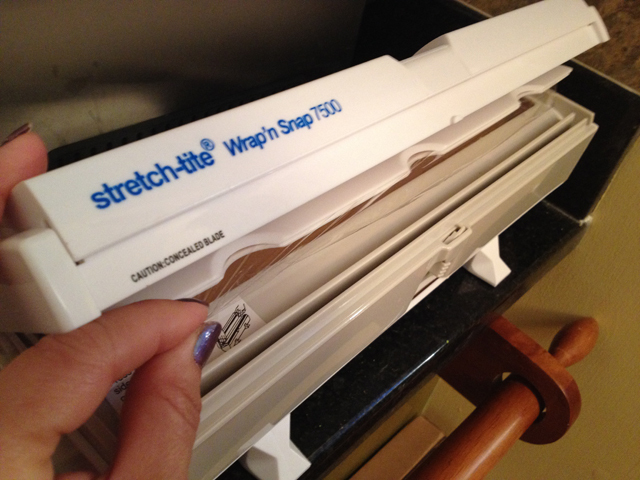 You mentioned a dispenser, but not specifics – I learned about this one in a cooking forum and as soon as I read the reviews at amazon,com,I was sold! Truly an amazing product! Hi Sally! I found you via Ceilia’s page and have really enjoyed your IMK post. Love those glass jars and those muffin cups are stunning! Also love the little look at your varnishes and soaps – thanks for the tip on Seche Vite – I am going to look out for something similar here in London. I used to always have manicured nails but that was before I had my son – now that he is so much older it’s time to start looking after me again! The coffee grounds container is genius! Glad to “meet” you! Yes, go for Seche Vite, I cannot give it enough praise! What a wonderful post, this the the 2nd time I’ve seen chestnut flour in less than 24 hours, I’m thinking that it is amazing. Love your in my kitchen line-up. Ha! The great Chestnut Flour Conspiracy! I didn’t know about the soap fetish but in every photo that shows your fingers, you’ve got on a different color, so yes, I knew about that one. The coffee thingie is very cool. It’s cool that you call it a thingie. It would be a thingo in Australia. My mother-in-law calls them thingamies. Now, go to youtube, search for Jill Colonna’s mad about macarons and she’s got a video showing how to make macarons. She wrote a book that’s done multiple printings so it’s pretty good. The video is excellent. 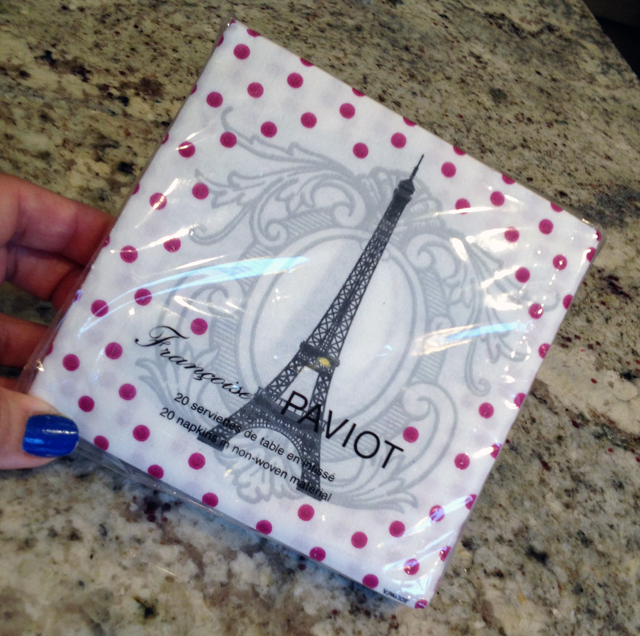 I posted my macarons on my site last year – picture perfect following her instructions. I wasn’t bashing them enough. Easy fix. Well you know, every time you throw your furry animals into the mix, that’s where my eyeballs will go 🙂 SO cute!! 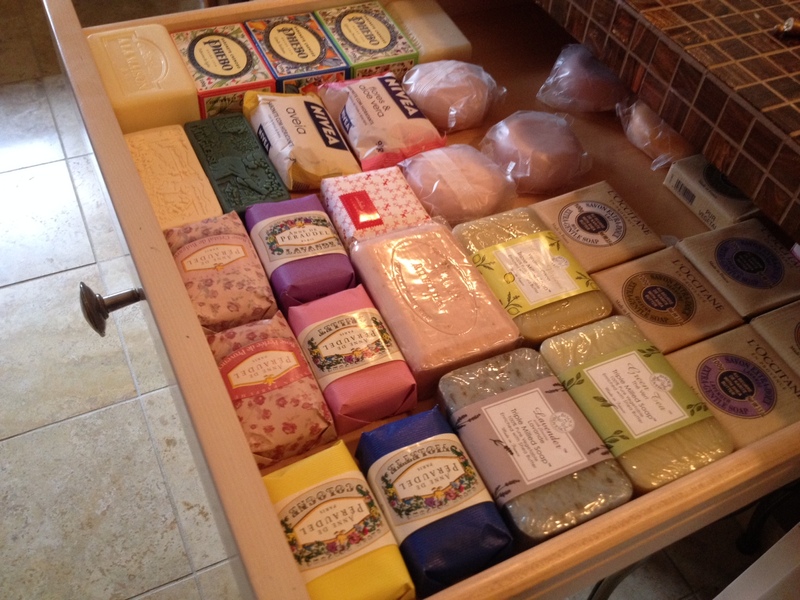 Loving the expansion beyond the kitchen into the polishes and the soap drawer — classic! (L’occitane products are a favorite). p.s. is Cindy looking for a new friend? 😉 such a great assortment of goodies. Kelly, I’m always pleased to make new food friends! Ha! I brought back an Eiffel cookie cutter from Paris last year. Kitsch as hell but also could not resist. As for the soaps, me too….. I love red as well. You have so many nifty things in your kitchen. 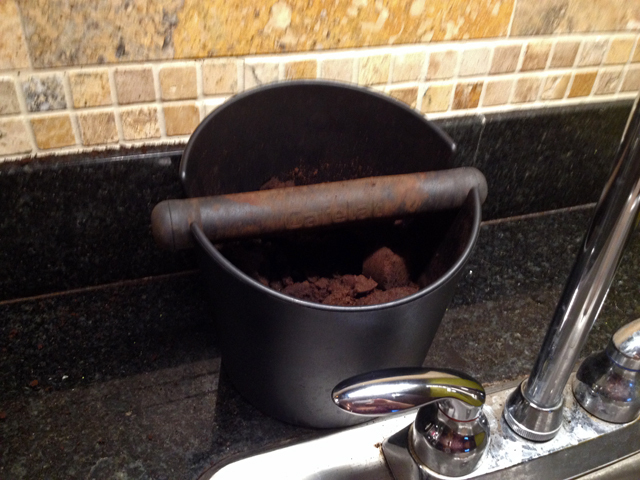 Even the discard container for coffee grounds looks interesting. The pet roundup is fun as always. Glad you enjoyed the round up this month! The containers are from King Arthur Flour, by the way…. Your fridge looks so tidy. Can you come and fix mine! Sally, what a gorgeous post, full of treasure! I love all the red, and that cookbook that The Stud (my new name for him) bought you from Paris looks very interesting! I’ve never tried making macarons, but I believe there’s quite an art to them. And chestnut flour! Can I offer you one of the most popular recipes from my blog – gluten-free chestnut flour brownies? They’re Pete’s favourite! Celia, I remember those brownies very well! I am going to make them for the department, if all goes well, this weekend… shall report back, dear! Remember to get chocolate that isn’t too dark! I use 54% cacao – 70% doesn’t work for me! Thanks, Celia… I will have to get some, if I remember correctly all we have is 72% or higher…. 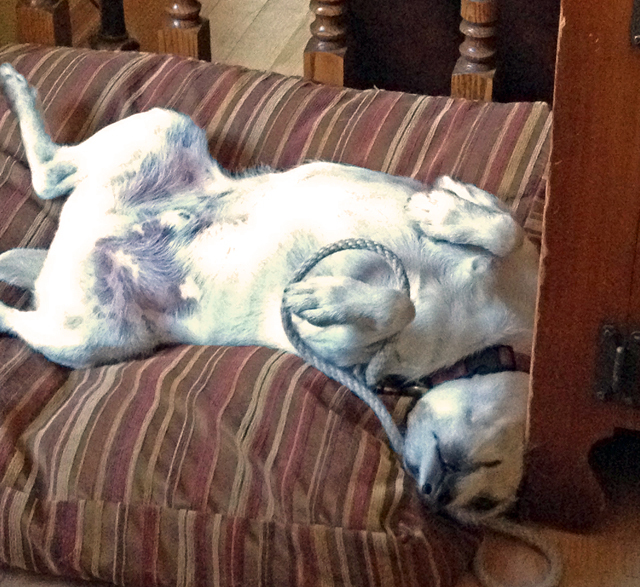 I love poking my nose into other people’s kitchens – and just adore those dogs! Loved this! And I’m a big bar soap gal too. Your drawer had me drooling! And I love those containers too! I’m such a container girl. We have so many…of so many shapes and sizes! Thank you for sharing this with us! Yep – those little jars are fab! I liked your photos of the macarons but the thing that caught my eye was the blue manicure so I laughed when I saw the nail polish bottles a few clicks down. Thanks for the tour. G’day! Love everything in your kitchen! Glad you enjoyed it, Joanne!